Grattan T. Brown holds a Doctorate in Sacred Theology (S.T.D.) from the Alfonsian Academy (Lateran University, Rome, Italy) and is an Associate Professor of Theology and the Chair of the Theology Department at Belmont Abbey College in Belmont, North Carolina. He serves as an external member of several medical ethics committees in Charlotte, North Carolina. 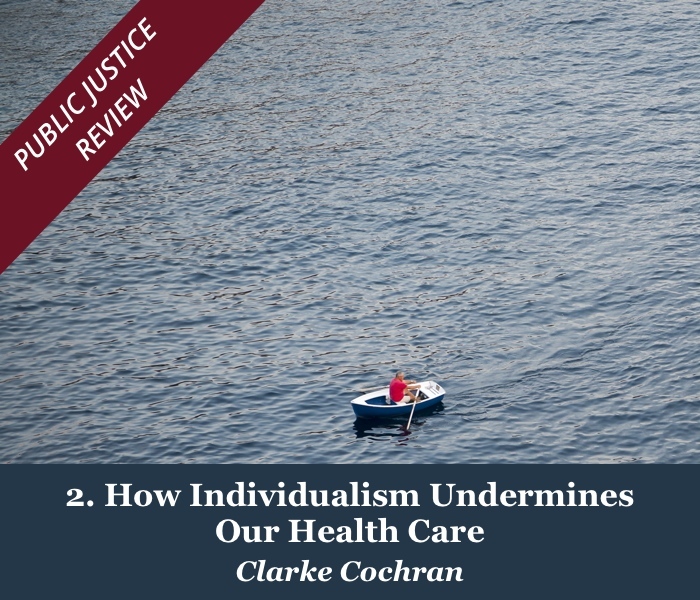 Public discourse in the United States typically discusses human flourishing and health care in terms of earthly well-being. 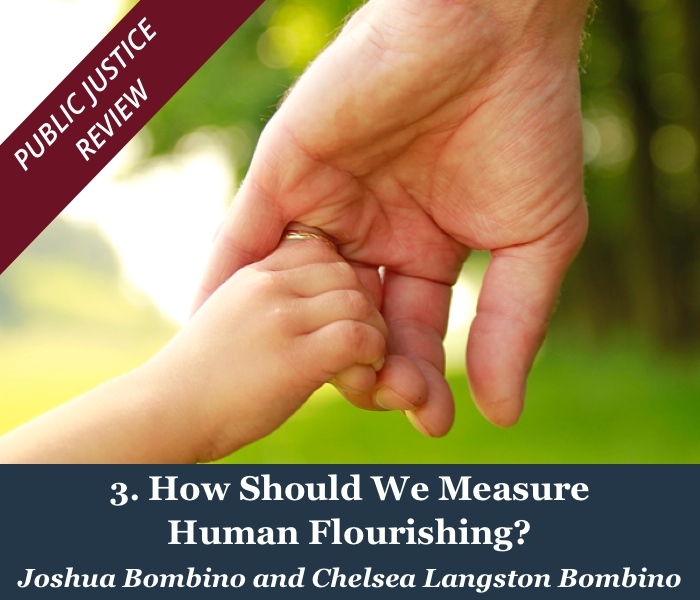 In a recent article in this issue of Public Justice Review, Joshua Bombino and Chelsea Langston Bombino advocate for a holistic analysis of human flourishing and health care that recognizes how the economic activities involved in budgeting and investment at various social levels--household, business, nonprofit, and government--promote human well-being that incorporates environmental, biological, psychological, relational, and spiritual benefit. Public discourse should rightly focus on such robust conceptions of human flourishing to discern effective government action in our pluralistic society. We see this aspiration for soul-shaping institutional engagement in the mission statements, leadership, and work of faith-based health care institutions across the nation. The spiritual foundations of this engagement are the hearts and minds of medical professionals that respond to patients not only with sympathy, as anyone would, but also by ordering well the materials, persons, and activities that promote comfort and healing in the patients’ body and psyche. The encounters that patients have with the institution and the healing process transform them spiritually, so they in turn, with souls shaped, might contribute to the health and well-being of others. Hearts and minds encounter hearts and minds through the work of a health care institution. The spiritual effort to benefit others passes through conscience. Conscience judges the actions we take in pursuit of our goals. It judges actions not merely by their true pragmatic value, but comprehensively, that is, whether they are not only effective and just, but also charitable, realistic in expected benefit, not excessively burdensome, rightly adapted to the circumstances and perspectives of those involved, expressive of whatever beauty they might possess, and capable of bringing their measure of joy. Conscience is not a choice but a judgment about options. It jettisons some options as wrong, accepts others as morally good, better, or best, and urges the best. We can choose to follow our best judgment, or choose against it. We can experience uncertainty regarding both the judgment and the choice, and suffer coercion to judge and choose certain practices as if they were good. We can hope to end up with wisdom about the practices of our day. Each person’s natural goals and guiding purposes shape the standards by which their conscience judges. At the most basic level, conscience tells a person: If you would get along well with your neighbors, then avoid harming them in body, reputation, and spiritual equilibrium. Inquire with them about fundamental human questions: God’s existence and relationship to humanity, the origin and purpose all things, the ways of true love, the meaning of suffering and death, the existence and character of the afterlife, and the ultimate destiny of all things. Discuss civilly the various responses to these questions, understand the moral implications of your views, act with integrity, cooperate with others so far as integrity allows, decline to cooperate when you cannot, give reasons for the moral soundness of your view, correct your errors, hope for an eventual shared judgment of what is truly best, and in the meantime, allow for conscientious disagreement. When we think seriously about the goals and means of a good life, conscience naturally leads us—slowly—through a rich texture of meaning in action and through earthly concerns to ultimate questions and back again. Conscience proves to be a demanding tutor. Human beings do not start from scratch when working through these fundamental questions, their implications for moral life, and how those implications should play out in work. Over hundreds of generations, we have developed various philosophical and theological traditions of moral wisdom. A quick inspection of health care ethics textbooks shows the traditions that we have brought to bear on current questions: philosophical traditions such as utilitarianism, deontology, virtue, and natural law, as well as the moral theological traditions of various religions. Each leads conscience to judge medical activities in light of its views about suffering, healing, freedom, the good life, human relationships, and other fundamental human considerations. The Christian tradition views healing as a process of restoring functionality in the body and of promoting faith, repentance, and conversion in the patient. In Mark 2, for example, when Jesus was preaching the Gospel in Capernaum, he healed a paralytic who was lowered through the roof, and he also forgave the paralytic’s sins. In this story, the healing is not just about physical restoration but about sin, conscience, faith, friendship, spiritual effort, forgiveness, repentance, and God’s power over creation. Christian institutions help people understand the Christian tradition and form their consciences by it. From the earliest times, Christians have formed institutions dedicated to spiritual maturity through the way of the Gospel, and the spiritual development they promote in their members spills over into service to society. Christian monasteries illustrate the union of spiritual development and social action in a particularly clear way. Monastic communities, of course, were not established to provide health care; they were established to preserve the way of the Gospel in difficult times, seek God, pursue holiness, and serve society. The monks took up the battle within themselves against the corruptions of soul and aspired to holiness, spiritual friendship within the community, and witness through social service, that is, soul-shaping institutional engagement. They wrote community rules to make their goals and activities explicit: to promote repentance, true faith, and character development through mentoring in the spiritual life, worship, and work. These rules established a basis for vivid discussion among the monks about how to live Gospel holiness in community. Life under monastic rule enabled some communities to grow stronger in virtue and social practice, even as they refined the rules under which they lived. The best rules survived and display a wide pluralism: Desert Fathers, Sts. Pachomius, Basil, Augustine, Benedict, and Columban, and the hundreds of Christian communities that organize community life under them. Social engagement followed spiritual development. Christian, and especially monastic practice, established inns for travelers and pilgrims, houses in which to keep and feed the poor and abandoned, and hospitals to care for the sick. 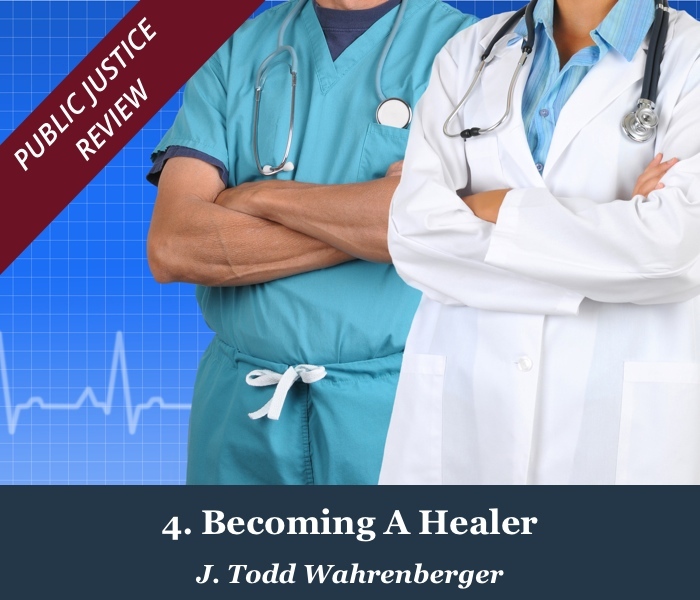 Providing health care in these institutions was itself a religious practice that supported the more fundamental religious practices of repentance, worship, and religious commitment to follow Christ. Across different societies and successive eras, Christian hospitals have cared for the sick in a wide variety of cultures and under different forms of polity. 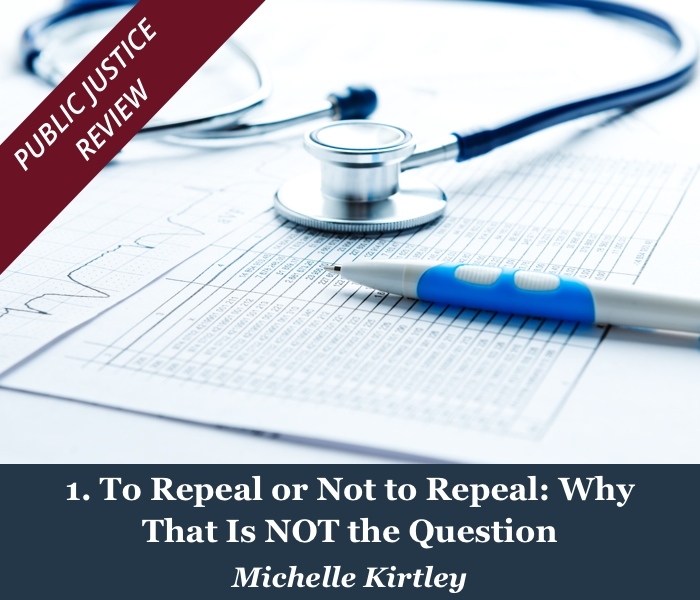 However, many will recall when Christian institutions failed miserably to respect conscience or religion and argue that they can be expected to do the same today in various health care institutions. Some sixteenth-century Christians in Europe sought to impose rival versions of Christianity upon each other and severely limited the social freedoms of Jews. These horrible experiences paradoxically demonstrated the value of individual conscience, whose modern understandings have been articulated by authors as diverse as the School of Salamanca, leading Protestant reformers, and authors such as John Locke, John Milton, Jean Jacques Rousseau, Immanuel Kant, and John Henry Newman. Twentieth-century experience demonstrates that this trampling of conscience and religion is fundamentally a human rather than a religious fault. Fascism and communism attempted to reconstruct society without religious belief, practice, and association and even to eliminate the Jewish people. Those horrible experiences paradoxically demonstrated the value of religion, displayed in Christian resistance movements during and after World War II. Preserving religious freedom and institutional pluralism protects against the twin pitfalls of using civil authority to impose religious belief or to eliminate religion altogether from public life. Institutions provide a limited social space for religious communities to demonstrate the value of their beliefs and their way of life for the good of society as a whole. In that social space, individuals inhabit and aspire to roles that demand spiritual maturity, benefit others, and cultivate wisdom. This institutional work cultivates wisdom by engaging consciences about the institution’s activities, not merely for their true pragmatic value, but their meaning in relation to fundamental human questions. In faith-shaped institutions, this engagement of conscience develops wisdom about the value of that religion’s beliefs and ways of life for social engagement. Theoretically more fluid in their institutional identities, non-religious institutions draw more explicitly upon consciences formed by the variety of worldviews found in a society, including religious ones. 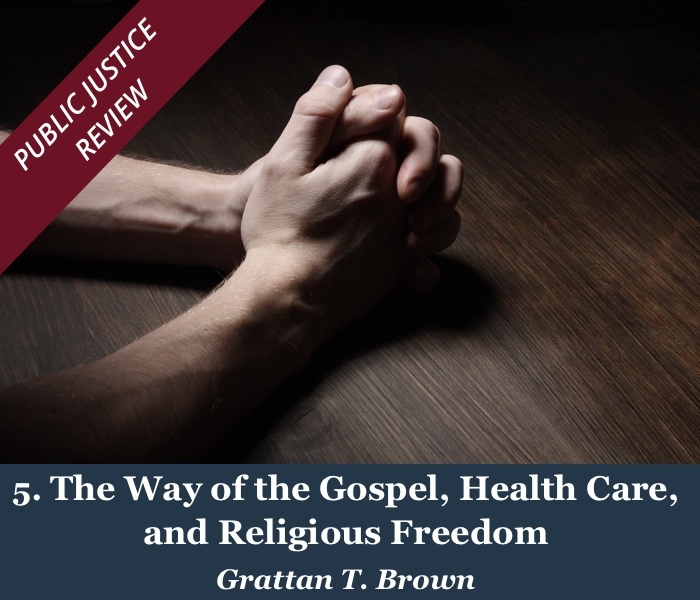 Religious freedom and institutional pluralism can work to the advantage of a modern society dedicated to cultural, political, and economic freedom, but its health care institutions cannot flourish if medical professionals are forced to violate their consciences. There are many reasons why, and here are four: initiative, innovation, transcendence, and moral integrity. First, practicing medicine begins with a judgment of conscience. Confronted with a suffering patient, conscience says “do something.” Give attention to that person, investigate pathology, devise intervention, advise remedy, and recommend (at times strongly, almost to the point of obliging) specific actions that heal the body or modify an unhealthy lifestyle. By urging these actions, conscience frees medical professionals for the kind of soul-shaping engagement that supports a patient’s larger purposes, such as service to spouse and family, work in society, and recreation. Other than the will to excellence, nothing more than conscience so powerfully directs the transforming encounter of the patient with medical professionals and the institutions they represent. Third, through all its prompting, reasoning, judging, and urging, conscience relates earthly concerns to fundamental human questions and thus illuminates the meaning of our activities. Conscience connects a person’s deliberation to action and connects the healer to the interventions helping the body to heal. This connection asks more than “Did I treat the patient fairly?” but also “Because I acted medically, did the patient experience (or not experience) illness and healing positively in the larger context of meaning in suffering, intimate relationship, self-examination, repentance, forgiveness, and wonder about divine mystery?” Various philosophical and religious traditions help people answer this question. For the Christian healer, answering this question begins with Christ’s call to repent, believe in the Gospel, and act so that others might flourish. The most fundamental way of responding to the Gospel is to affirm faith in Christ and to offer one’s life and work in cooperation with God’s plan of salvation. The medical professional’s work heals the body and therefore participates directly in Christ’s redemption of the body and in his miracles of earthly healing. But as in the story of the healing of the paralytic, the encounter with and response to illness also provokes the consciences of those involved to recognize their faults, the weaknesses in their society, and what wiser action might better promote human flourishing. Fourth, free expression of conscience promotes moral integrity for individuals and institutions. A person’s choice is not morally good because it follows the judgment of conscience. Some judgments fall short of moral goodness. Even sincerely undertaken, some actions have little or no capacity for human flourishing. Without active consciences and communities of discussion, people miss the bright-line moral violations of human life, speech, property, and freedom, and then drift into immoral, sometimes heinous acts. They struggle to find the morally strongest course of action when few good options exist. Wide institutional pluralism and protections for religious freedom make it more likely that individuals will find others of similar conscience to test their seriously considered, conscientious judgments. It is also more likely that they will find rivals who challenge their vision of health care and morality. This dynamic seems particularly necessary in science and medicine. Medical technology offers more power and more options for modifying the body and for curing diseases in the human body and psyche. Yet the greater power draws into sharper relief both human limitations and fundamental human questions, especially regarding the meaning of suffering and the specific characteristics of human dignity. Institutional pluralism allows for religious and philosophical traditions to help people form their judgments about the real value of new possibilities. This spiritual effort brings communal well-being and provides the soul-shaping institutional engagement that the members of society desire and that civil authorities cannot provide entirely on their own. You can download this article as a PDF for printing and/or saving. Click the icon above or click here to do so.